There is never a time that a Landlord should become complacent about the upkeep of their investment or over-confident about keeping their property occupied. Spending a bit of time and money sprucing up your investment can make a big difference when it comes to re-letting, and minimising vacancies between tenants. Not only will a home that’s well cared for reduce the likelihood of it sitting empty for long periods of time, but it will also have the added benefit of attracting better quality tenants willing to pay a little extra for top-shelf presentation. Essentially, some small and inexpensive improvements can give your property that point of difference and make it stand out from the crowd. There is fierce competition in the marketplace for excellent tenants. These people have high-quality applications and are increasingly becoming discerning about where they want to live, how they want to live, and how much they are willing to pay for it. A property they rent may end up being a home for a number of years. Externally – your rental property requires street appeal. With tenants scouring the internet and driving past prospective properties before they even consider making an appointment or attending an open house, it is more crucial than ever that your investment looks neat and tidy on the outside. Ensure that lawns are mowed, garden beds are in order, paths and driveways are clean and the front of the building is presentable. For older style weatherboards or period rendered homes, this might even require a lick of paint, some new guttering and/or roof restoration/repairs. Luxuries – Air-conditioners and dishwashers can make a big difference as to how much a tenant is prepared to pay. In fact, now there is a level of expectation that these should be standard in rental properties. There will always be more demand for a rental that offers these options rather than one that does not. It is these extras that make a property stand out from the crowd. Medium-size renovations – consider a coat of paint to freshen up the property and maybe some new carpet and tiling. Carpets only have a 10-year life-span in accordance with the ATO’s ruling on depreciation. New carpets are an easy way to make a property more homely. These simple cosmetic enhancements can really transform a tired looking investment into something modern and engaging that will catch a prospective tenant’s eye as soon as they open the front door. 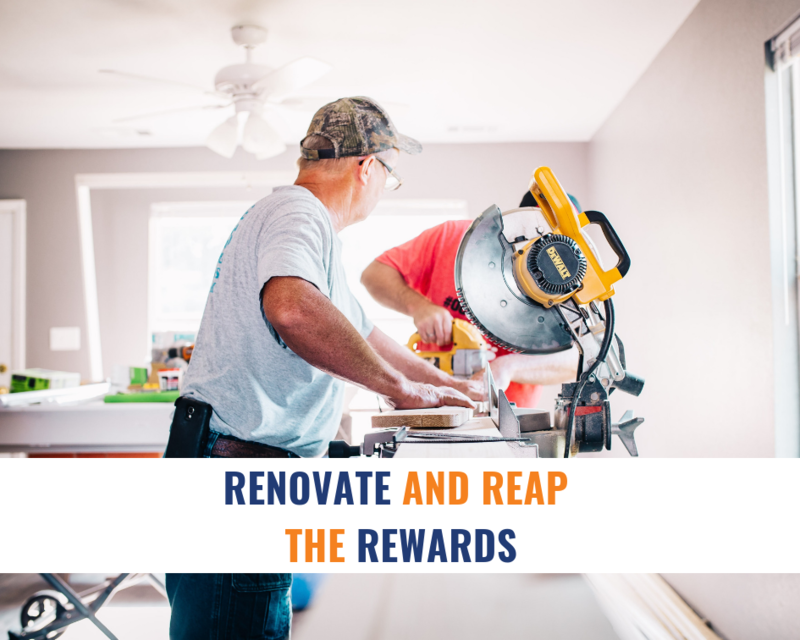 Larger renovations – updating old kitchens and bathrooms can be expensive, but can also pay off very well in increasing your rental return. The marketplace is drawn to updated properties that have had renovations done. If you can afford to make these types of improvements and your kitchen is languishing in the seventies, this could well earn you a much better quality of tenant and price for your investment property when you re-let. Two things every Landlord hopes for! Are you looking for a new property manager who can guide you through the best renovations to gain you the best return on investment for your property in today’s market? John Pye Real Estate has won many industry awards including Best Property Management Company for 2018 (Leading Property Managers Association). We can offer you a free audit of your investment property to ensure it is achieving a maximum return with minimum expenses as well as being compliant with current legislation. There is no obligation or cost whatsoever for this service. We look after properties all over Sydney. Call one of the Team at John Pye Real Estate on 9980 6777 or email info@johnpye.com.au to request your audit today.